The Future of Packaging provides a straightforward solution to tackling the daunting issues of waste in the packaging industry by returning to a "circular economy." 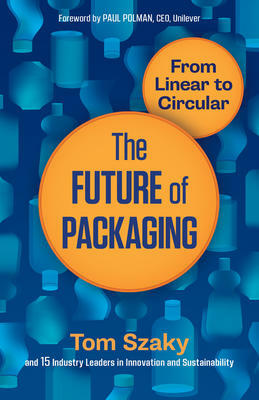 Beginning with a critique of the irresponsibility of the packaging industry and its contributions to wastefulness, Tom Szaky and his coauthors illuminate the path towards a waste-free future with lessons from the past. The goal of this book is to serve as a guide for designing a circular economy, showcasing how the world has moved away from circular systems of consumption (i.e. refillable milk/water/beer) to largely linear systems (i.e. milk bags/plastic bottles/plastic kegs). Objects were circular up until the 1940s, after which complex materials and a culture of consumerism began to create waste that nature couldn't handle. The way to get back to more circular systems starts with design and, after that, implementing systems. With the support and experiences of industry leaders in sustainable development, Szaky helps readers make the shift from a linear economy, which depends on extracting resources and overconsumption, to a circular economy that allows for growth.